Doing good is at the core of every webe and ultimately every webe makes up the core of the HumanCare Movement. How? Because webe Raising Careness! 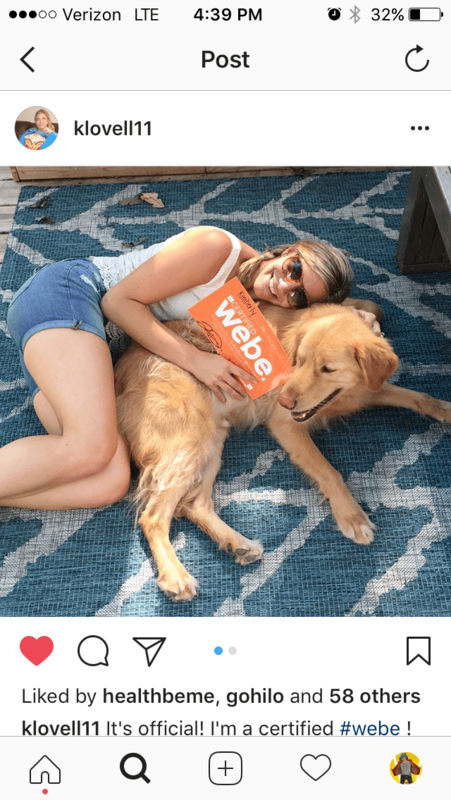 Here are a few of the ways that webes, webe. Be proud, show the world you are a webe. 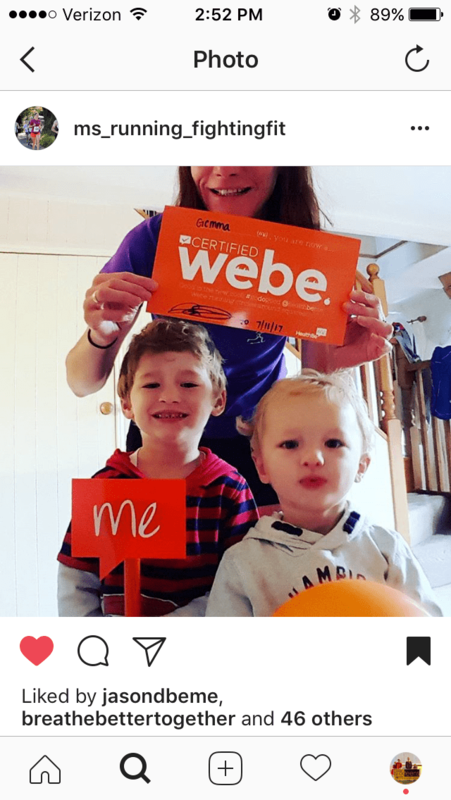 When you receive your Webe Kit, snap a pic and share your status. Add webe to your bio. Help other webes find you and show the rest of world that you are pro HumanCare... add "official #webe @healthbeme" to your social media profile. Just like @will_i_webe. Join the story @HealthBeMe. Follow HealthBeMe on Instagram. Like HealthBeMe on Facebook. Make a statement. Inspire others, by posting your daily health and wellness experiences. 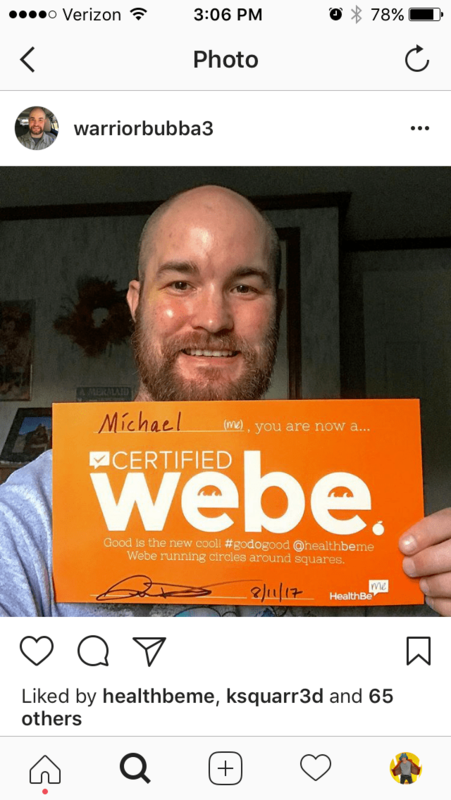 Webes include #healthbeme in their caption (to make their power statement) and tag @healthbeme in the picture (to let others know where HumanCare happens). Take part in, Calling All Webes. Join our weekly outreach to show help give shoutouts to those who are inspiring others, or help inspire someone who could use a boost. We do it on Instagram. When we do it together, it only takes 2-3 mins to make a big impact! Thank you for nominating your webe! They will be contacted soon for what to do next. Attend a Webe Day. Once a month we webe together offline. This is no boring volunteer gig. Webe creative (popup photoshoots), webe having fun (dance parties) & webe interactive (its a hands on thing). Webe Days are currently only options to local webe since we meet offline. But we will be working with other webes to do them all over as we grow! 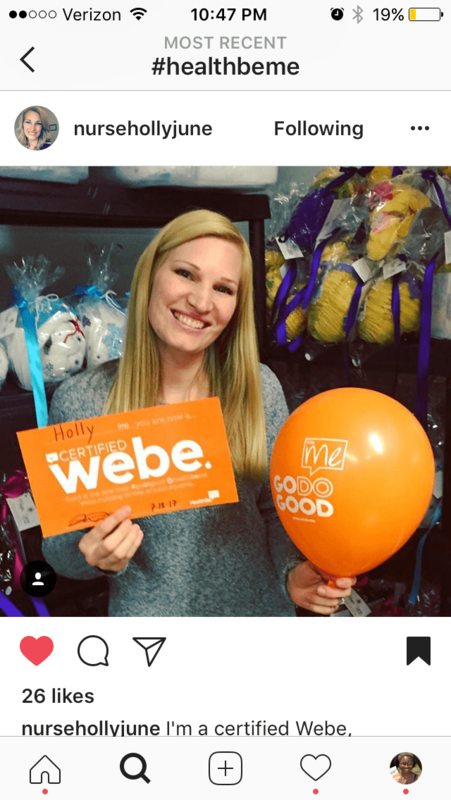 Listen to Lauren Rowe share her experience from a Webe Day. Provide feedback. Help make your HealthFile and your Hives amazing by sharing your ideas and thoughts on apparel, Hives, platform features, etc. Be part of our private launch. Join your Hive and reserving your HealthFile! Keep being you! You became a webe because you believe what we believe. 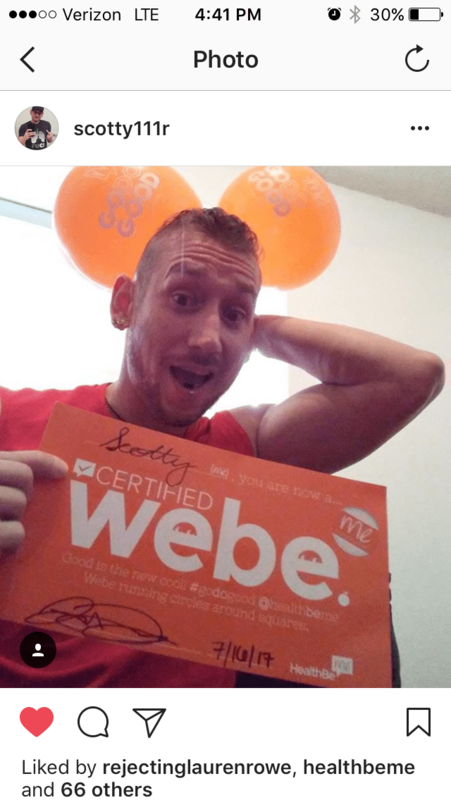 Being a webe means that you keep being you with a bunch other people who believe what you believe. Thats power! Lets make change.